The greatest hero of the Marvel Comics universe is about to get the most elaborate action figure treatment that money can buy. Of course, the hero to which we’re referring is none other than Stan "The Man" Lee. The stunning new figure stands as an appropriate tribute to a giant of the entertainment world. 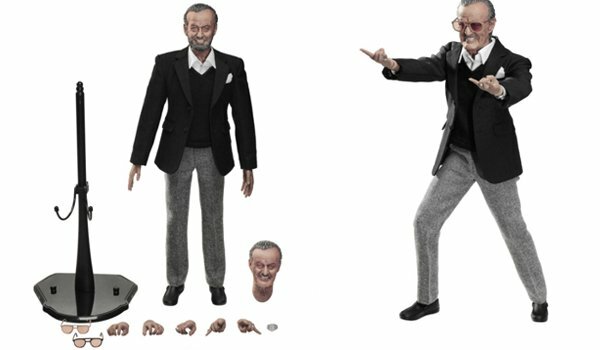 Now, it appears that the colossal creator himself will join several other superheroes in the 1:6 scale action figure club, many of which he had initially created! Toy company Das Toyz is behind this stunning tribute piece. 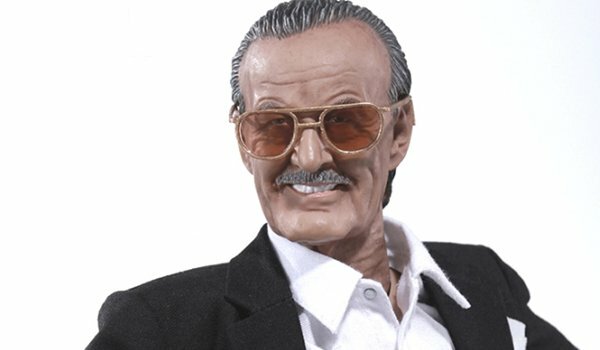 One of the most importantly prolific people in the history of the comic book industry whose plethora of creations has made a lot of people in Hollywood a lot of money, this latest superhero-esque treatment of Stan Lee is the perfect accompaniment to the action figure museums of deep-pocketed 1:6 scale collectors to stand appropriately with his vast array of Marvel brainchildren. And yes, "deep pockets" is a key concept, seeing as the figure will retail for $249.99. Yet, for people who have been collecting 1:6 figures, it’s practically par for the course. As you can see, the figure, typical to the scale, should stand at about 12 inches and is incredibly detailed. In fact, it’s one of those instances where the level of detail on the figure is so ridiculously good that it almost crosses that line into "creepy" territory. Yet, its detail is only just the start of its selling points. 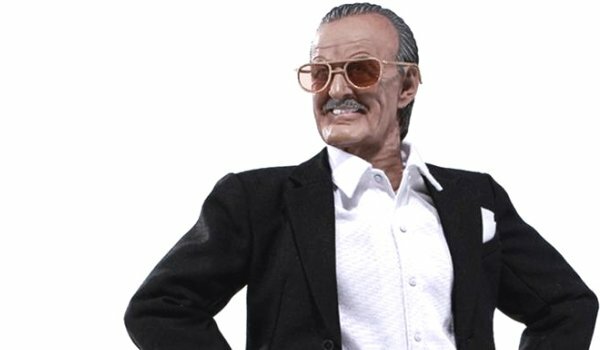 Besides being fully articulated, ready for infinite amounts of poses, the figure also comes with two exchangeable heads so that you can either present a contemporary mustachioed Stan Lee or flashback to the 1970’s with a classic-looking full-bearded proprietor of the Marvel Bullpen Bulletin. Oh, and lest we forget that among other things, it also comes with a multitude of other exchangeable accessories like a complete alternate wardrobe, along with 2 sets of hands. Yes, it’s an amazing (and expensive) tribute to a person who was so important in the creation of things that are widely loved and celebrated today. Having played an integral role in the creation of icons such as Spider-Man, The X-Men, The Fantastic Four, Iron Man, Hulk, Thor and Daredevil, Stan was the face of Marvel Comics whose letters to the fans at the back of every issue of Marvel Comics left readers just as amused and captivated as the action-packed panels that preceded them. While the world of comics may call another brilliant creator "King," there always will be only one "Man." Now, for the not-so-low price of $249.99, you can pay homage and pick up this piece, which is set to ship in the third quarter of 2015.